Continued huge volatility and “sudden” moves, both ways, continue to dominate the markets. Below are some of the major indices and levels worth watching. 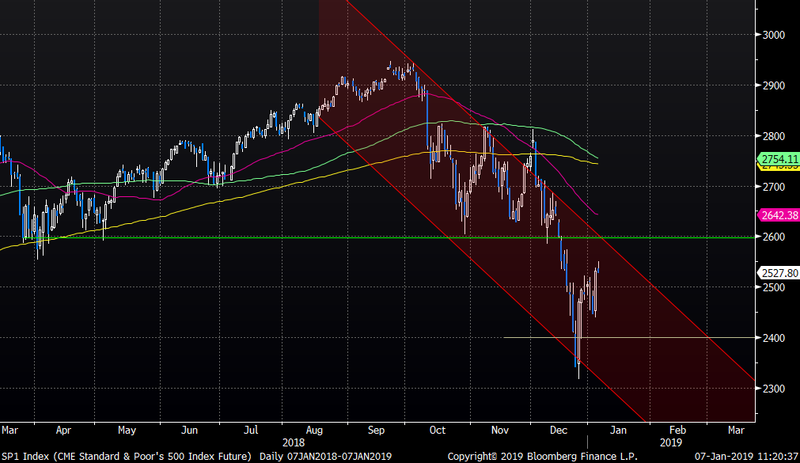 S&P 500 continues trading inside the negative trend channel. 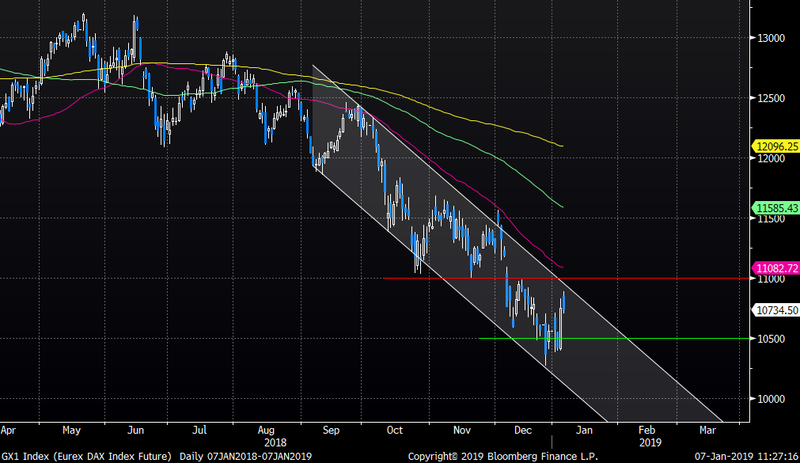 The current down trend line is a bit higher. 2550/2575 is first resistance levels to watch. 2500 is a psychological area, but the bigger “real” support is to be found down at the 2400 level. 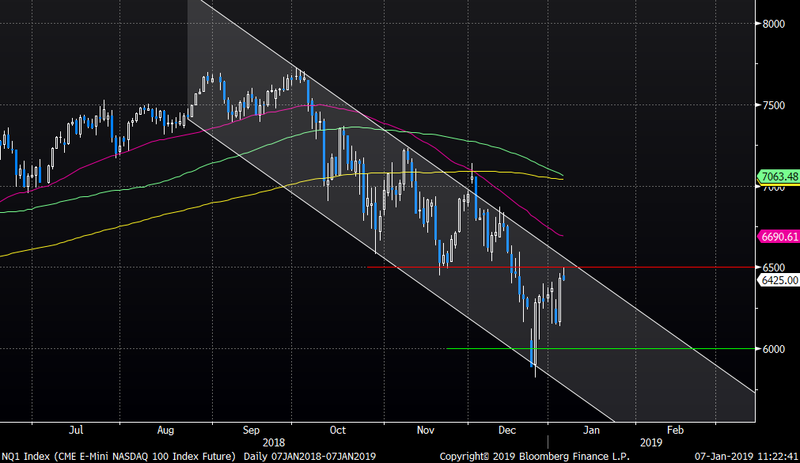 NASDAQ futures trade in a perfect negative trend channel. 6500 is big and we almost tried it this early morning. The big support is to be found down at the 6000 level. Note the 100 and 200 day almost crossing here. 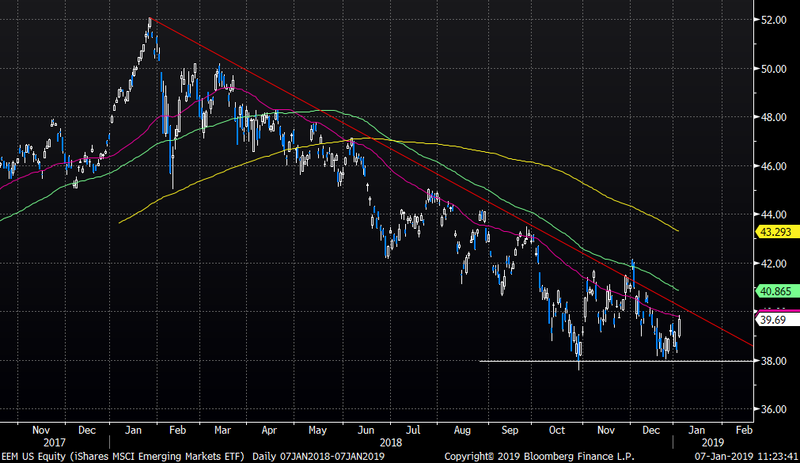 The Emerging Markets space (EEM US) trades in a one-year perfect down trend. 40 is a massive resistance level while 38 holds as the big support level. We won´t get overly excited unless this index breaks above that big red trend line. 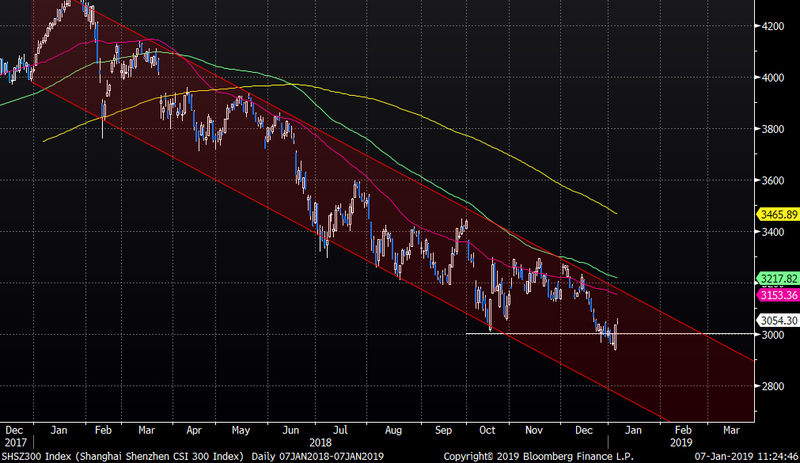 Chinese CSI 300 is another index trapped inside the negative trend channel. Sudden and violent bounces are to be expected, but the overall trend is all but happy. 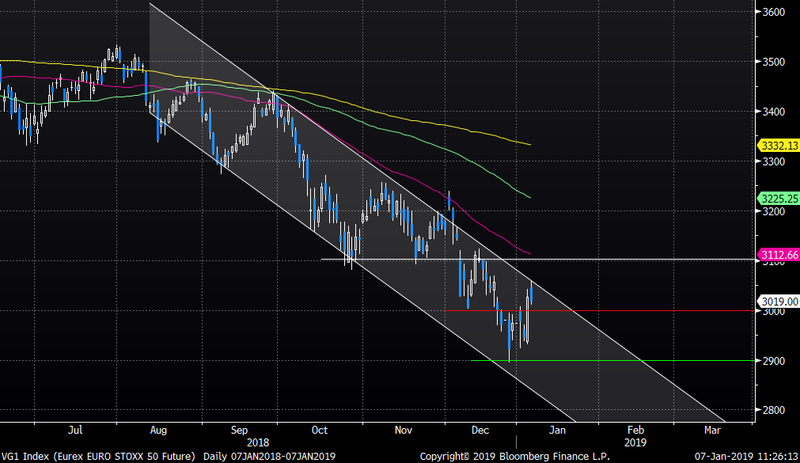 Eurostoxx 50 futures trade inside the perfect negative channel since September last year. Note the index tried the 3050 resistance early this morning but has reversed since then. 3000 is the first support and then the big 2900 level. First bigger resistance is at the 3100 level where we also find the 50-day moving average. The DAX took a huge move higher on Friday, but this index remains well inside the negative trend channel as well. 11 000 is the first big resistance to watch out for (note the 50-day moving average) while 10 500 remains “prime” support area. All in all, pretty much all major indices remain trapped inside the negative trend channels. Violent moves (up and down) seem to continue for now as the lack of liquidity and “confusing” positioning haunts investors.